Helllooooo there, its 8.40 in the eve here and I'm just grabbing a few minutes of time off before starting another project that has a deadline of yesterday lol!!! 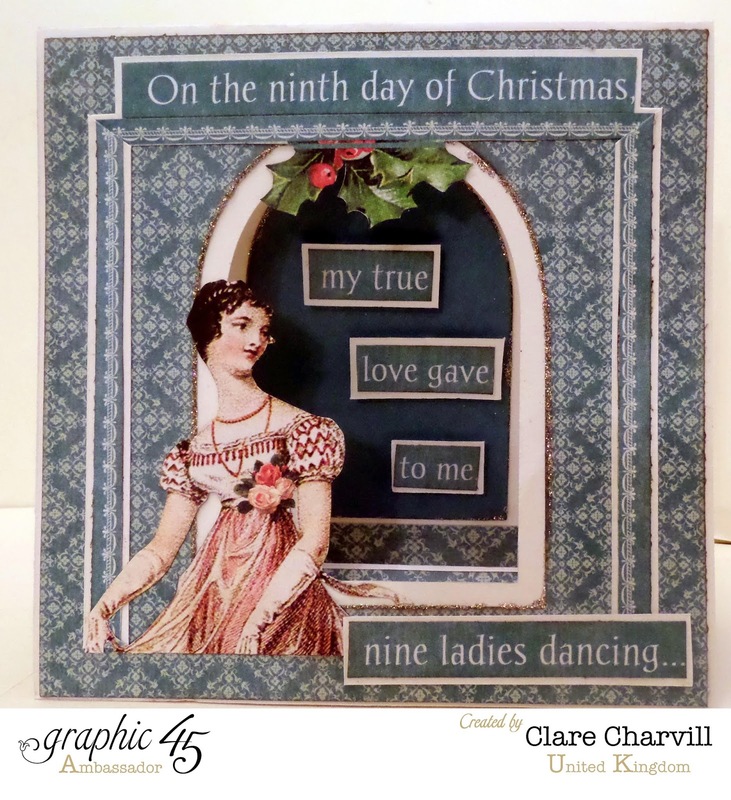 the first of the three collections to sell out on the shows over the weekend was the Twelve Days of Christmas so I thought I'd share a few of the samples I'd made for the set with you this eve. If you follow me you'll know I always turn to Sandra s fabulous templates when I'm lacking inspiration. 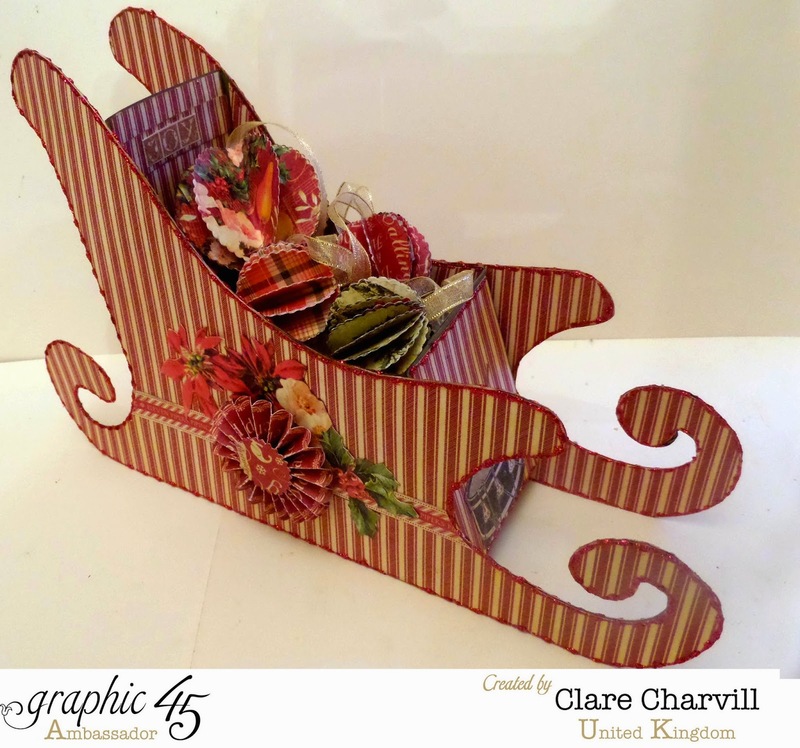 I redid the Christmas Sleigh that I'd first made with the Nutcracker Sweet collection and shared over a year ago. It's still the most viewed post on my blog. the baubles were made from left over paper. 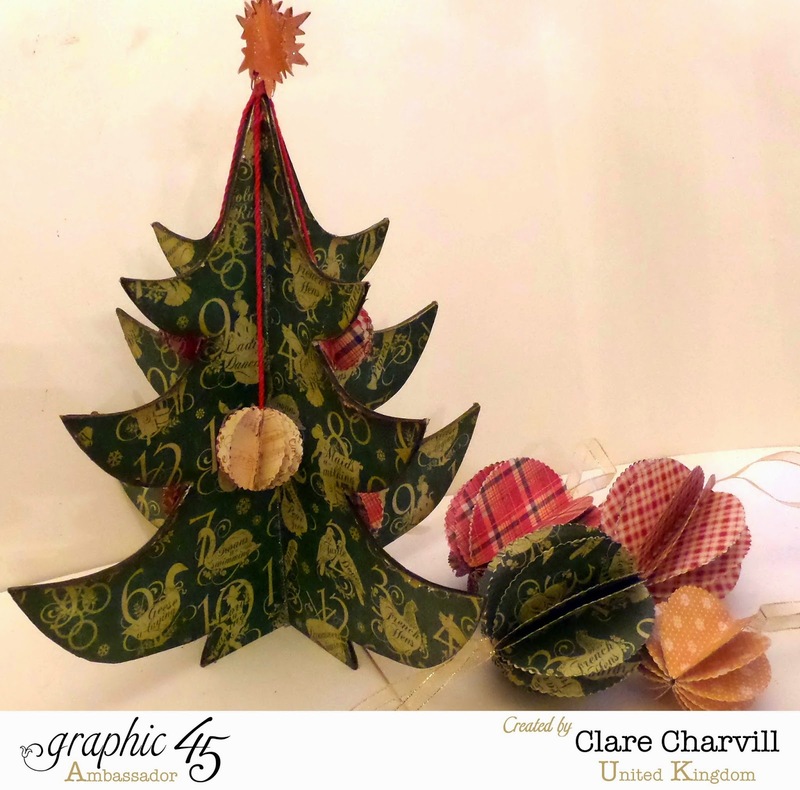 The little Christmas tree below comes in kit form from Tando Creative Ltd. I finally managed to catch up with Di at the Leigh Show and have a right old chin wag. 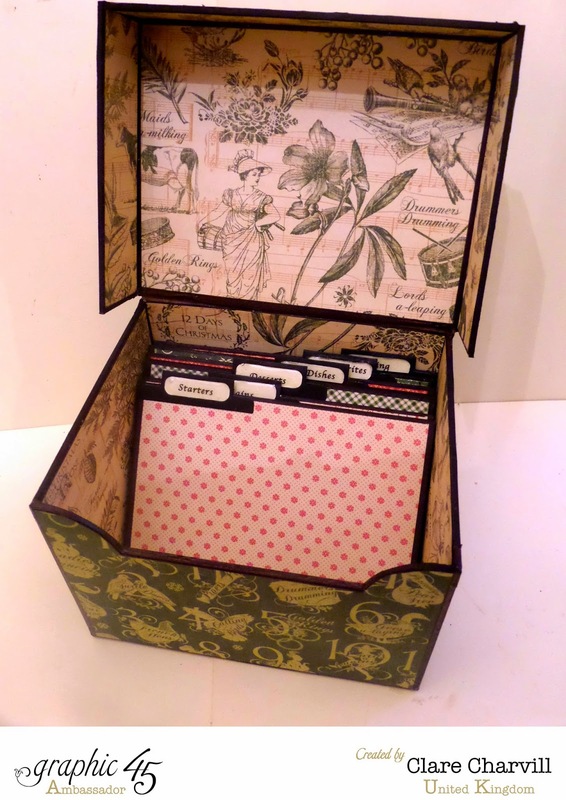 She has some fabulous altered items in her on line store if you haven't visited be lore. What super creations - so much inspiration. I was just getting ready to go to bed and I thought nope gonna see what Clare might have posted. 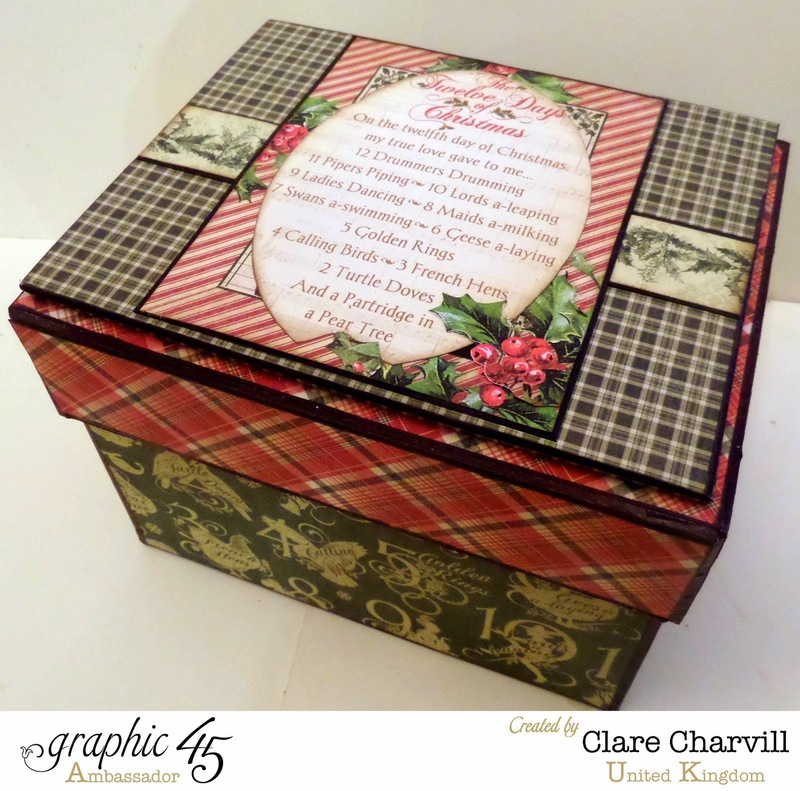 I love the 12 days of Christmas collection from last year. 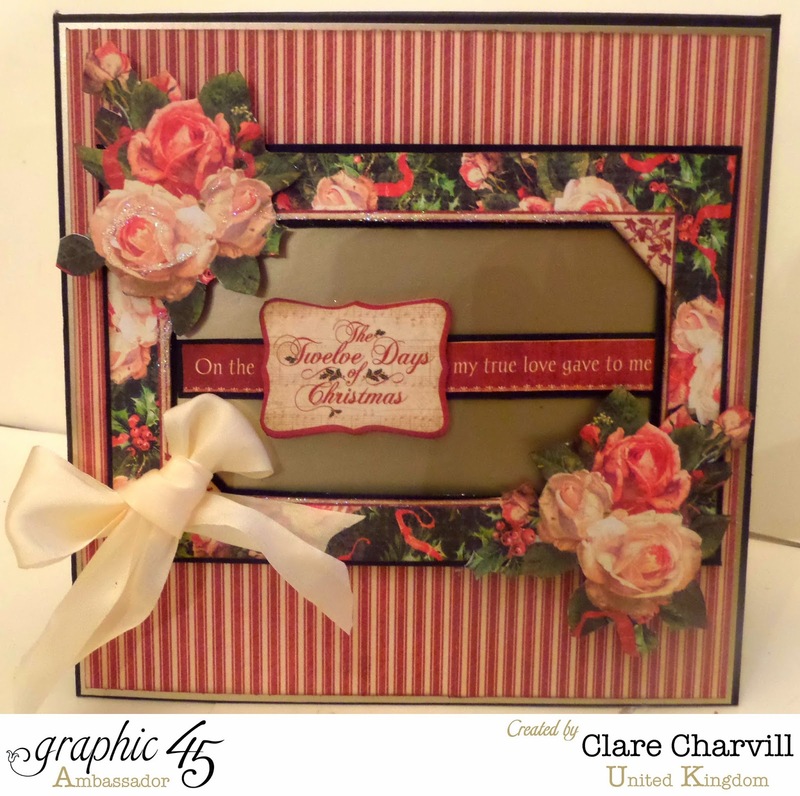 It is so gorgeous and I am just finishing up on my 3 albums that I have made for a friends children. Am working on the other album as well for a baby shower, nice to be wanted but my ankles are swelling from sitting so much. 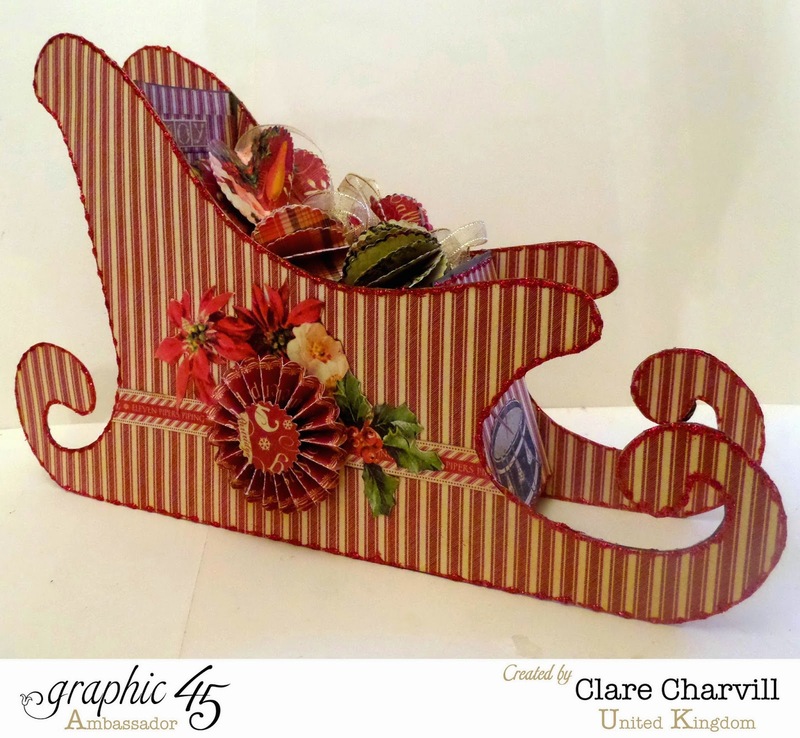 Lol.....I love this little sleigh, guess I missed the one from last year you are talking about, will have to see if I can find it!!! Love all your things, have a great day. 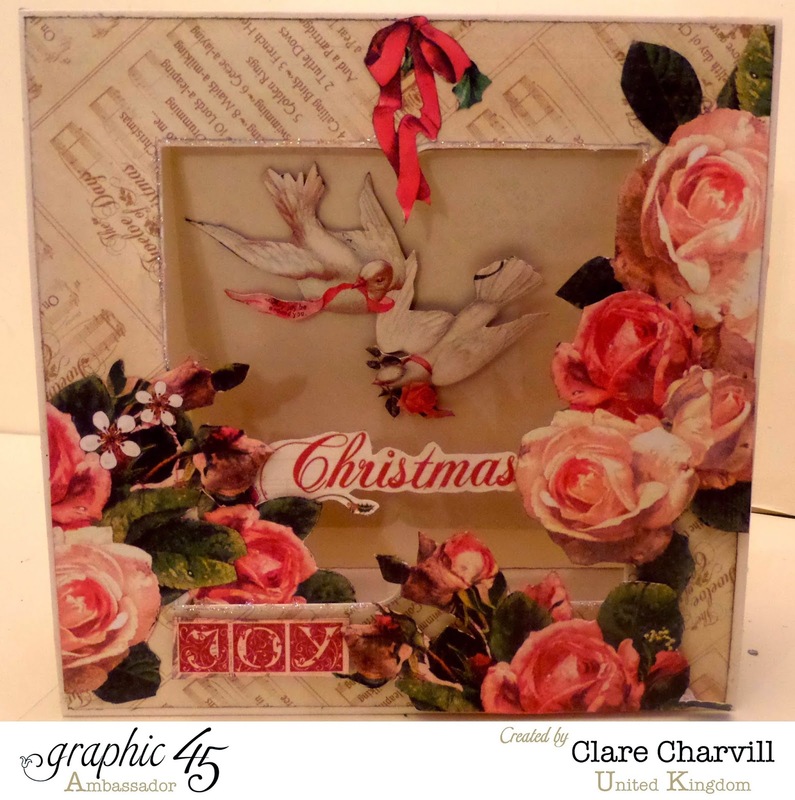 o wow Clare what stunning projects you have made. love the sledge and tree and the box ..all of it. and the papers are fab beautiful done. Wow, what a bumper lot of pics for us to drool over. They are all brilliant! Morning Clare, Wow !! 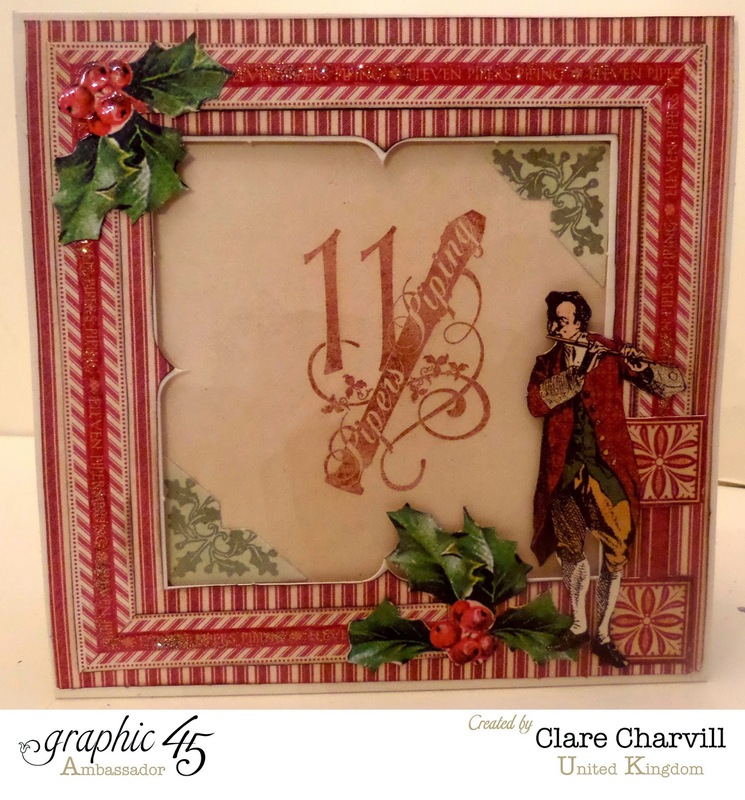 what a plethora of loveliness here, these gorgeous, gorgeous papers have been used to perfection on these projects, I'm especially loving the sleigh with the cute baubles inside. Christmas in in the air! 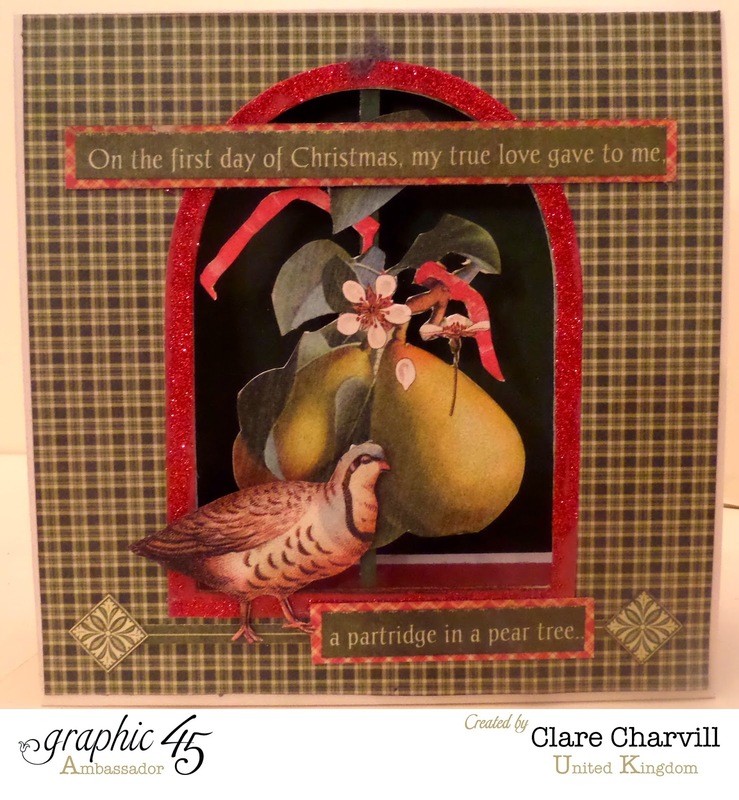 Love anything made from G45 Christmas paper collections. Thanks for this posting! It's started me thinking in red and green! Love your holly leaves and berries...nice fussy cutting! Good evening Clare, We've just returned to South Yorkshire after visiting the grandchildren down in Kent and having stupidly left my ipad at home was unable to keep up with your regular posts. Sadly I was unable to see your shows on C&C but am keeping my fingers crossed that I will be able to catch the repeats. Thanks for sharing your photos and all the wonderful samples. They are all fabulous. Thanks for sharing and take care.